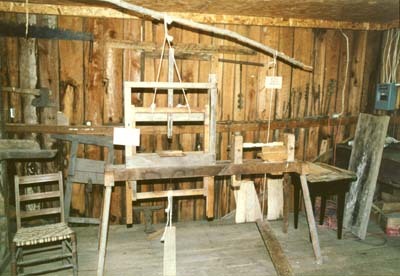 The Carpenter shop was donated by John E. Greene of Milton, Lafe Chapin of Huntington and Judge Russell Dunbar of Morgantown. It was moved intact from Milton by the Mason County Commission. 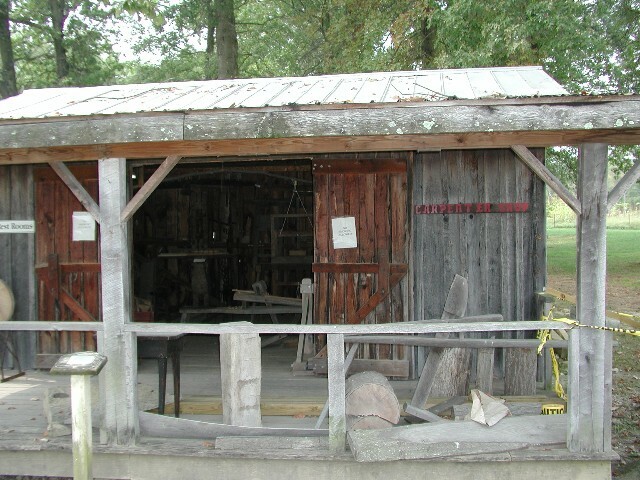 The shop displays a large collection of antique carpentry tools. 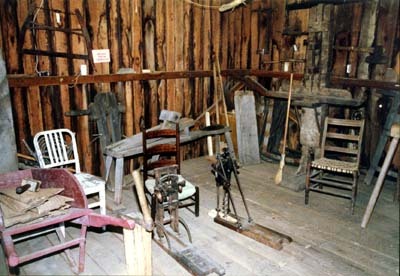 Some of these unique tools include a spring pole wood lathe, a shaving horse, a large wooden punch, two timber morticing drills, 200 year old wooden vices, an all wood morticing machine, and a variety of hand tools ( saws, levels, planes, hand augers, axes, etc. ).